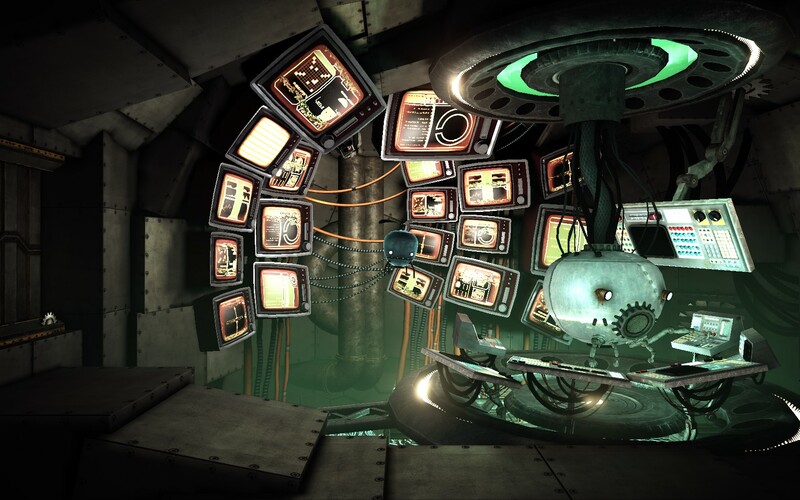 The Refined Geek » Unmechanical: A Storybook Puzzler. Keen readers have noticed that my last couple months worth of game reviews are following a trend. Quite a lot of the titles are from independent developers and the vast majority of them have been shorter, simpler titles who’s play time doesn’t exceed more than 4 hours. I’ll be honest and say that the reason behind this is mostly because I’ve been thoroughly enjoying countless hours in DOTA 2 but it’s also because we’re in that lull that happens in the middle of the year where AAA titles have already been released or are due to be released soon. For me this lull used to be filled with MMORPGs and replaying old titles but the indie scene doesn’t care as much about marketing cycles as their publisher backed brethren do and that means I’m usually flooded with all sorts of interesting titles to have a crack at. Unmechanical is one such title that just happened to cross my path late Friday evening and based purely off the fact that it reminded me of Machinarium I felt it was worth a look in. You play as small, propeller headed robot just casually going about your business with what I assume is your family of other propeller headed robots. Out of nowhere a pipe, very reminiscent of the ones in the Mario Brothers series of games, abducts you away from your family who seem to be blissfully unaware that this is going on. You then wake up in a cave deep underground which you then spend the entire game attempting to get out of. 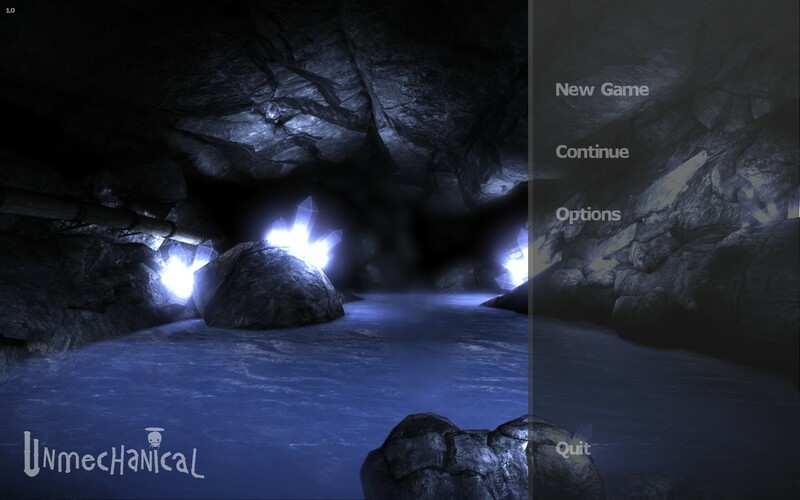 Unmechanical is quite visually pleasing thanks in part to its development on the Unreal Developer’s Kit which it will constantly mention during the non-game events. It felt very reminiscent of Trine in that regard even though Trine uses its own in house engine but the visual styles seemed very comparable. The graphics aren’t exactly cutting edge and they have most definitely been heavily optimized for the 2D game play but the heavy use of stylization, modern lighting effects and vibrant colour palette mean that Unmechanical is always a pleasure to look at. 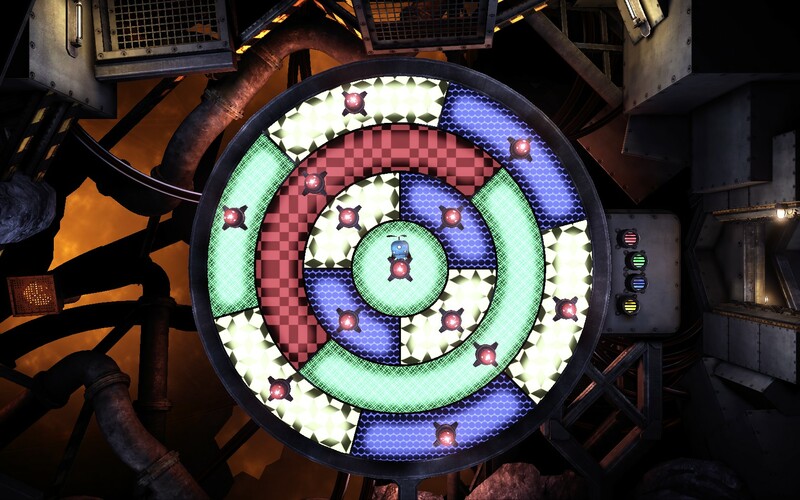 Physics based puzzle solving is the core game mechanic of Unmechanical. There’s nothing particularly unique about this particular mechanic, nearly every game with a physics engine these days incorporates some kind of puzzle solving element in it, but that doesn’t make it any less enjoyable. For the most part you’ll be picking up objects, moving them around and even doing a couple timed events that require precision placement in order to get everything working just right. 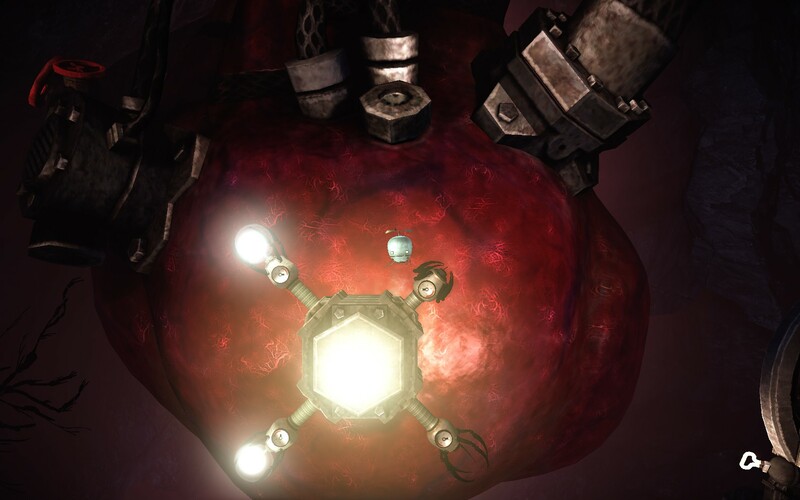 In terms of the actual mechanics its pretty seamless as I never had any of the puzzles break on me but I did feel like there was a more subtle issue that could cause some people to get frustrated with Unmechanical. Unmechanical is an incredibly simple game and this is by design. There’s no dialogue to speak of nor is there much in the way of explanation given for many of the things happening on the screen. This is fine however it also means that the way that most things work in this world are based around typical gaming conventions. Now depending on what kind of gamer you are some of these will be obvious and some will not. 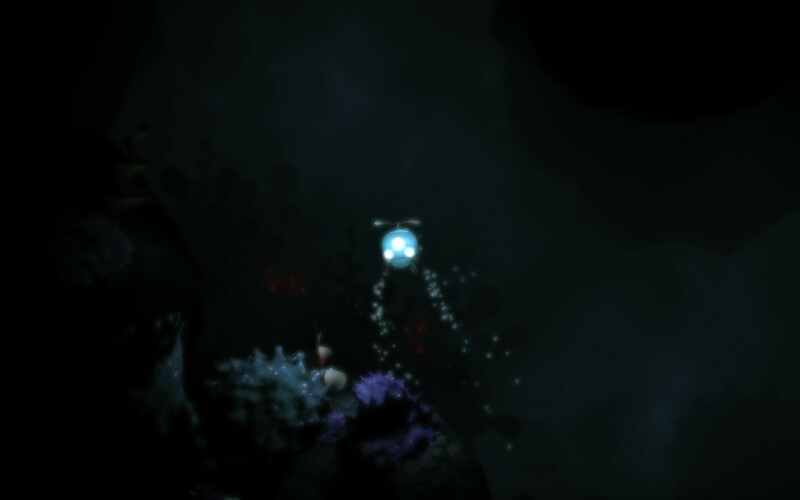 For me many of the puzzles made sense the second I saw them however there were a few where I had no idea what Unmechanical wanted me to do, leaving me to move wildly around trying to move everything in sight to see what would work. This could very well be part of the challenge but its one of those design choices that could very well lead to people dropping the game long before finishing it. I guess its not a fault per se, more something you need to be aware of going into it. What really got me about Unmechanical though was just how good it was at telling a story without a whiff of dialogue. The screenshots don’t really do it justice and I won’t go into details about the actual story itself but suffice to say that there are enough visual clues to lead you to draw your own conclusions about the situation the main character is in, the world that surrounds it and ultimately the decision you make about how your journey ends. In essence the story can be as intricate and complex as you like or you can ignore it completely and just enjoy the puzzles. Both of these play styles would be rewarding in my view. Unmechanical then was one of those pleasant surprises that I get every so often when I take a risk on buying a game that I know almost nothing about. The game mechanics might have been decidedly simplistic but the visual style and storytelling captivated me, enough so that I can’t bring myself to write it off as just another physics based puzzler with decent graphics. The heavy reliance on gaming conventions might make it something of a chore for some but for those who’ve got a few years of gaming experience under their belts I can’t see you struggling that much and indeed I believe there will be something in Unmechanical for nearly all gamers to enjoy. Unmechanical is available on PC right now for $9.99. Game was completed in approximately 2.3 hours with 40% of the achievements unlocked.